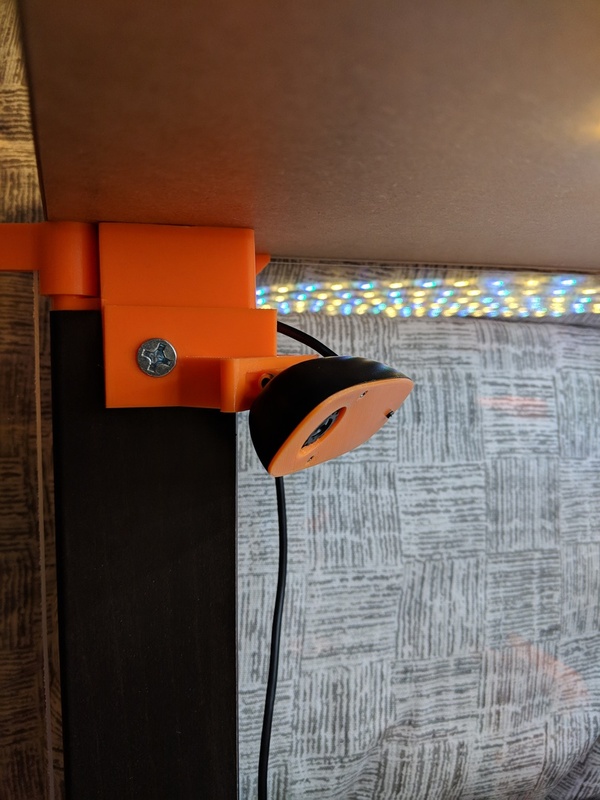 Earlier this year, Prusa released their take on a 3D printer enclosure made from the famous IKEA Lack tables and printable parts. I’ve designed a few parts of my own that I’m pretty happy with. I would not be surprised to learn there are equivalent or better alternatives to these. I did try looking, but not too hard. I was happy to have the design challenge. 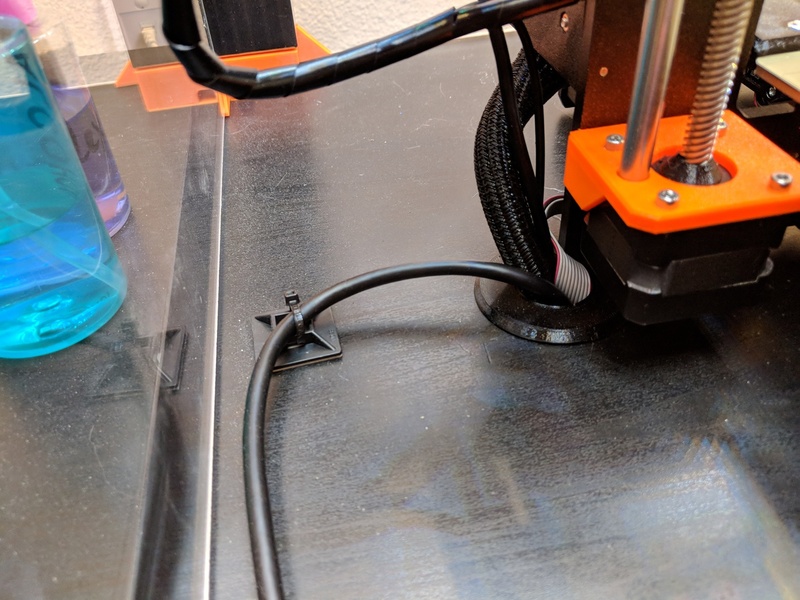 Enclosures get hot enough to screw with PLA print quality. 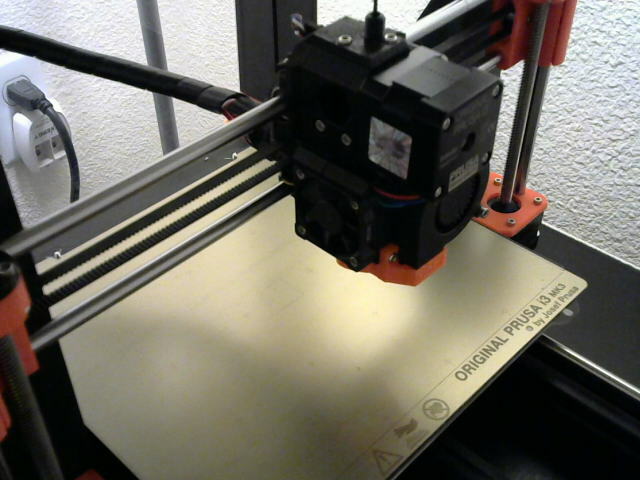 I added a ventilation fan which is capable of keeping the temperature in safe ranges (~27 C). 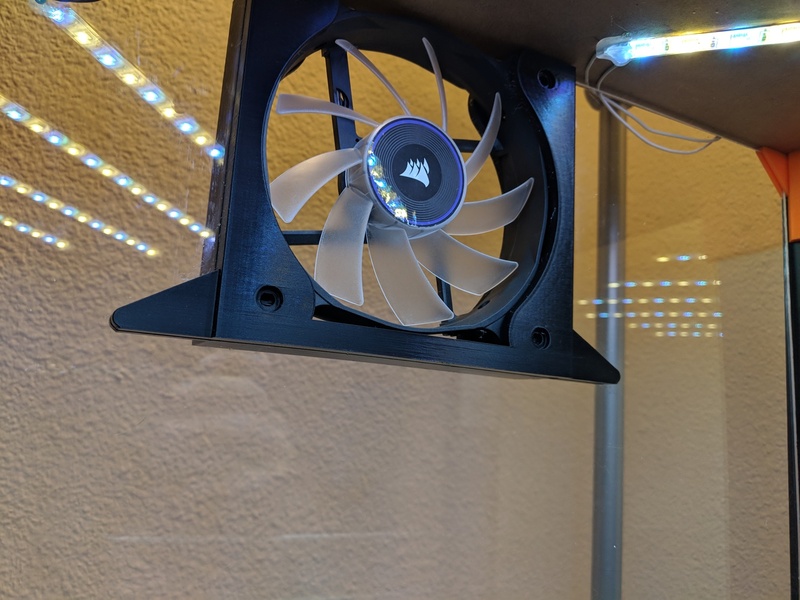 This is a mount for a standard 120x120mm computer case fan. I’m using this Corsair AF120 fan*. The mount slides into a centered cutout approximately 129x129mm on one of the acrylic sheets (I’m using the rear one). I had intended for the cutout in my sheet to be closer to 122x122mm, but the company I bought the sheet from didn’t get the measurements exactly right. It was nice to be able to easily resize the part in Fusion 360 and print it out to-size. To make the hole look nicer I “designed” a grommet to fit the crappy hole my 1″ drill made. 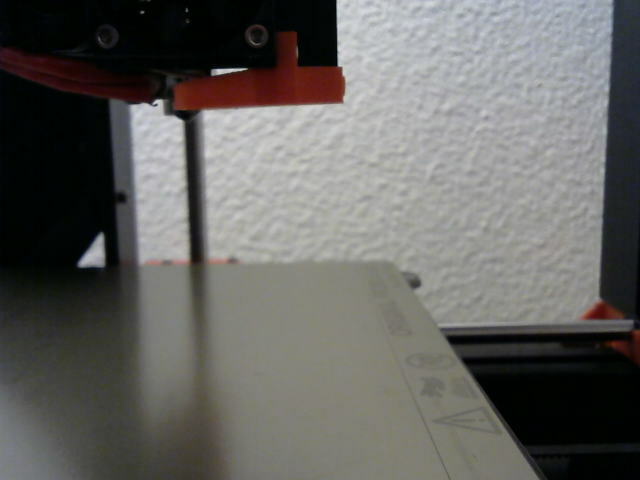 The Logitech C270* is a super cheap (~$20) 720p USB webcam that works really well with Octoprint. 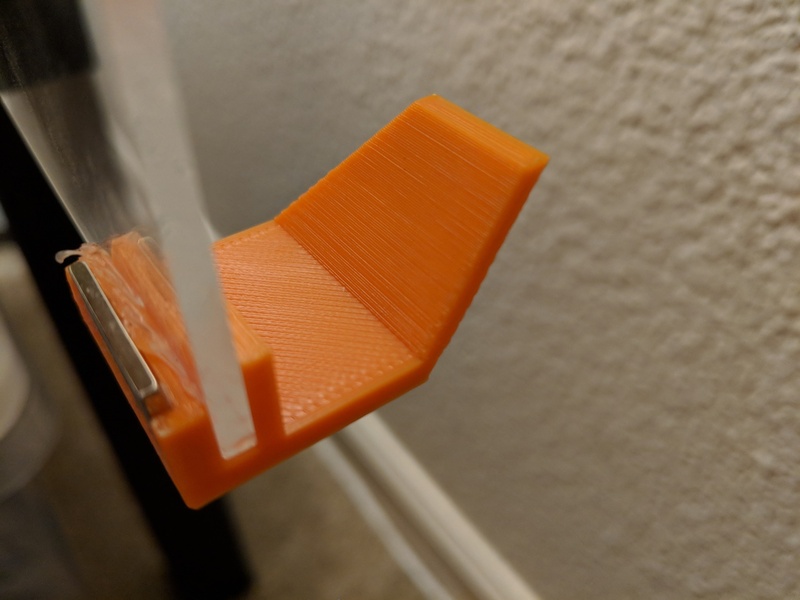 I redesigned the included door handles from scratch, mostly in order to improve my Fusion 360 design skills. There are a few aesthetic differences, but the functional difference is that there are recesses appropriately sized for some 20x10x2mm N50 magnets* I had laying around. I’ll share how I’m controlling the fan and lights in a future post. Long story short, it’s an ESP8266 with some MOSFETs and ancillary circuitry. 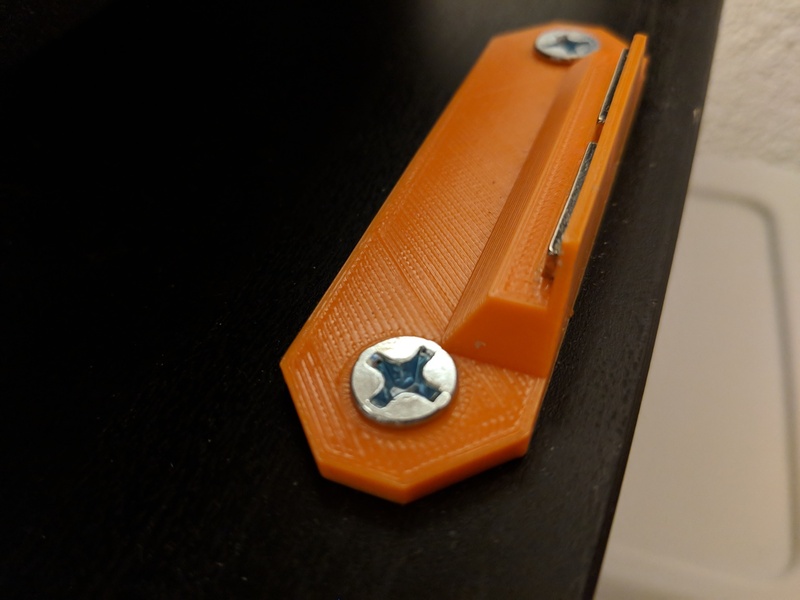 This entry was posted in 3d printing by chris. Bookmark the permalink.